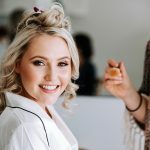 Making my brides feel pampered and beautiful on their special day is so rewarding. I love receiving all of the lovely thankyou emails along with images from their wedding day. Seeing the final result of all of my effort is the most rewarding part of what I do. I am passionate about Makeup and I love making your wedding day special. I just wanted to say a big thank you for making my wedding day extra special. You did such an amazing job on my bridesmaids and myself, couldn’t fault anything. You’re so good at what you do, but what makes you stand out is what a beautiful person you are. Your presence was so calming, it was just like spending the morning with a friend. Thank you for being so patient with me through the entire process and making sure I was 100% happy. You’re the best! 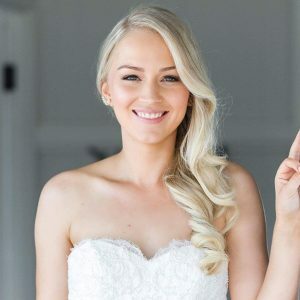 I just wanted to thank you again for doing such an amazing job on my wedding make up! All my girls loved how well your makeup suited each one of them and every-time I look at our wedding photos I just think wow is that me!! I couldn’t be happier with my makeup it was just perfect! You are so lovely and really down to earth and it was such a fun day getting ready! 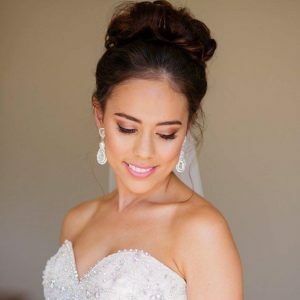 Patricia’s makeup for her wedding just looked absolutely breath-taking too! I swear to god if I could afford to have you do my make up every day I would!!! I will definitely recommend you to any of my friends for their weddings! Just wanted to share some of the HD make up shots that we got this week from Alan Hughes to say thank you. I think the HD images truly capture how fantastic your work is. Thank you so much for making this day so special and creating these beautiful looks for my girls and I. We are so grateful to have had you for the day.